Ted is very confused by this photoshop thing! Deciding to go for an adult pomeranian rather than a puppy is an exciting decision! But it’s also one with both advantages and disadvantages compared to picking a pom straight out of the litter (see our related post). On one hand adults tend to be better behaved and may even be housetrained. On the other hand the adult pom already has habits—good or bad—ingrained and so these may be harder to change than if you started with a puppy. In this article we’ll talk about questions you should ask the person you’re buying your adult dog from as well as what things to pay attention to when interacting with the pom. If you’ve decided that you want to get a pom puppy, then you want to make sure you research any potential pups thoroughly any time you visit a potential puppy seller. 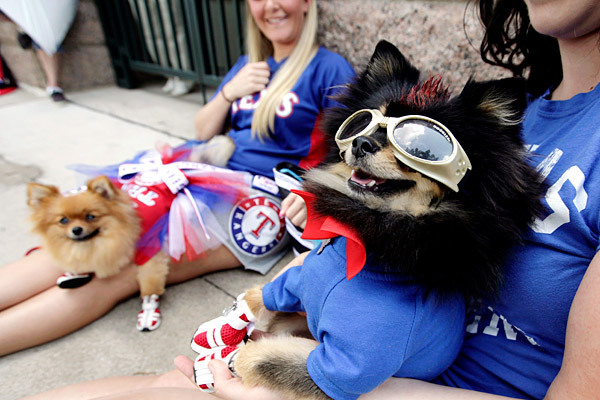 If you need help figuring out where to find a pom puppy, see our article about where to buy a pom. Here’s a checklist of things to pay attention to when you do a puppy visit. Your ideal puppy should be between 8 and 12 weeks old. This is a good age because the puppy will typically be finished weaning, is eating a lot, and is full of energy. At this point they are ready to belong to a new home and become attached to people. Our boys are two brothers from very different mothers! A lot of you probably wonder about how exactly we met our Pomeranians Yogi and Teddy, so we’ll explain their stories here. Fourth of July means fireworks. Which means…poms going crazy! 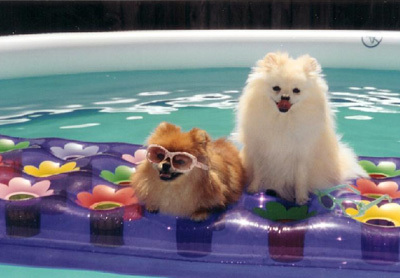 Those of us who want a less yappy independence day will want to make sure our poms stay as calm as possible during the festivities. In this post we’ll talk about why poms lose it around fireworks, and things you can do to keep them calm during the explosions.